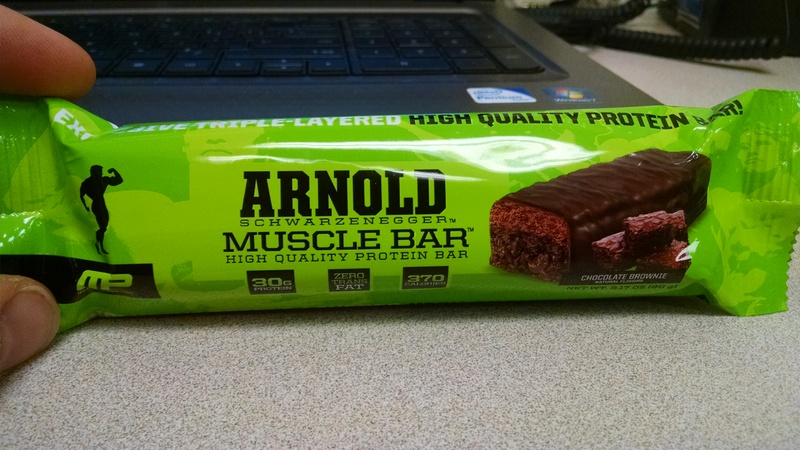 Macros: 1 bar(90g) 370 cals , 16g of fat / 30g of carbs / 30g of protein / 2g fiber / 7g sugar. 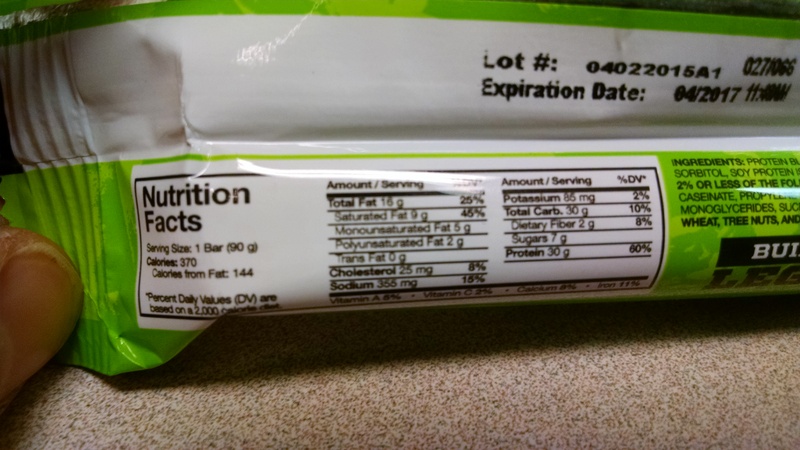 If you are knowledgeable on Quest Protein bars you will see that there is at least twice the ingredients if not triple compared to Quest. 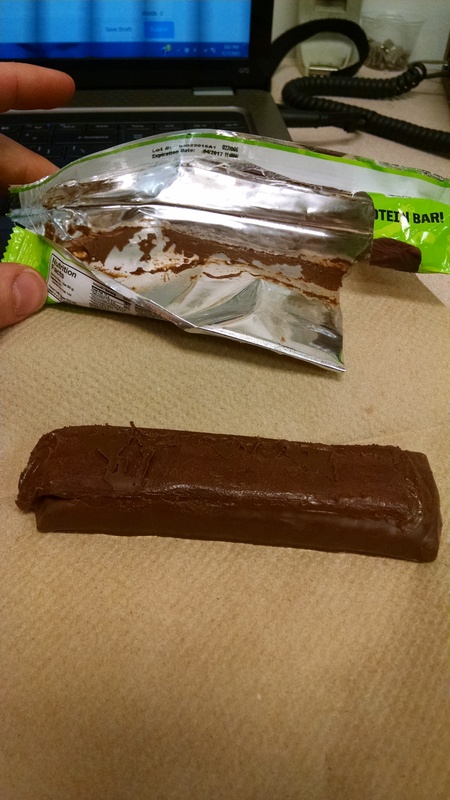 First Glance out of the Wrapper : Had some minor melting on the top of the package but nothing to worry about. This bar being 90g compared to your usual 60g’ ish bars had a bit more density to it. Not really “squishy” or soft like you may find with a quest or ohYeah bar. Has a bit more richer chocolate smell than my previous review had, but still didn’t get a ‘chocolate brownie’ feel with just the smell. No Fancy additions to this bar. Just a flat brown bar, yet good size to it. Once you break it open you see that it has a Softer brownie layer that was more like a cake feel than a brownie. Lower level was a much thicker, chewy, brownie feel which I happened to enjoy. 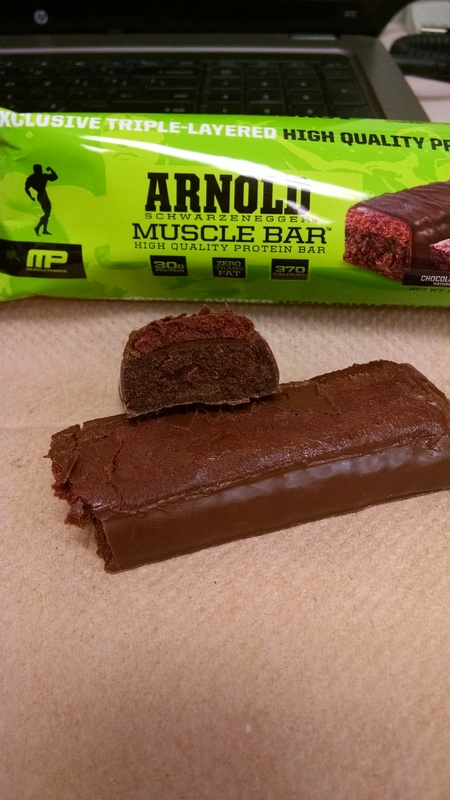 This bar actually looked like what the picture had shown on the wrapper unlike my previous review. I decided to do this review in 3 parts. Room temp: Wasn’t to bad right out of the package. The Top portion of the bar(the softer cake) tended to have a slight grainy texture to it which I wasn’t a huge fan of. 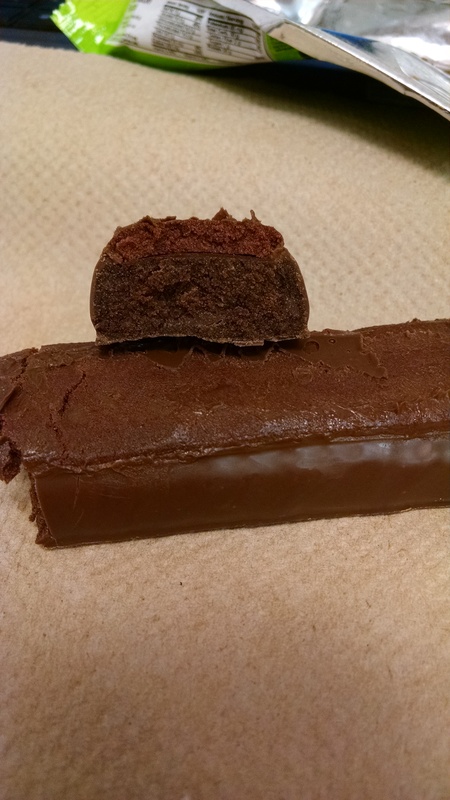 The layer of chocolate on the outside was quite thin which most of the top had gotten stuck to the package. The bottom layer however gave me a nice chew. Warm: Heating it up slightly helped to bring out the flavor of the chocolate outside lining but IMO made the inside of the bar worse tasting. Cold: Cold was my favorite way to eat this I think. I felt that it helped to bring out the chocolate flavor of the entire bar and made it seem a bit sweeter. This way made me feel like I was eating a brownie the most. I know not every bar needs a ton of fiber but for 370 cals and 30 carbs I would of liked to see a bit more fiber. Alright so now to get to the ratings. I am going to do this in 2 parts then combine the two ratings. Macro Ratings: IMO I am going to give this one a 6/10. Super high in Fat compared to a lot of its counter parts, higher in sugar than a lot of competition lately, and so low of fiber. Frankly for almost 400 cals I would of liked to see either a much richer flavor, or more fiber making up the carbs. Taste Rating: 8.5/10. Was enjoyable to eat, really enjoyed the chewy brownie layer but I think the top layer and outer coating could use a bit of work. Wouldn’t throw it away but wouldn’t buy it again either. 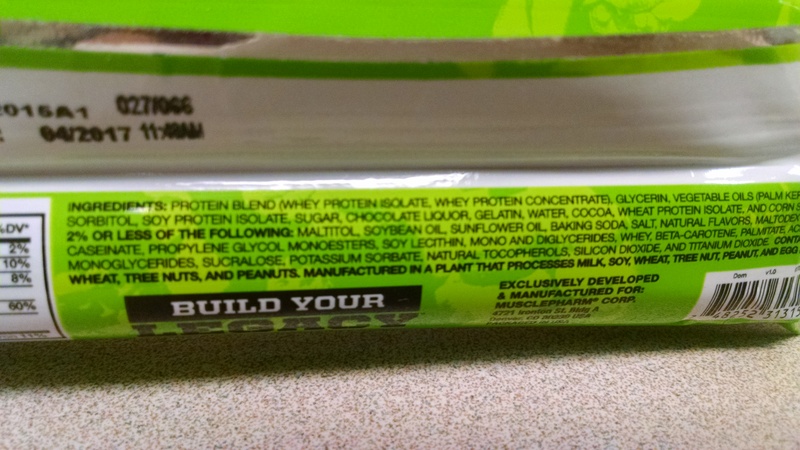 Much rather go with a Combat Crunch if I wanted to stay with Muscle Pharm. So now, lets combine the two. Overall Rating: 7.8/10 or a B- , good enough to get by but never first in line. Interested to see how the Chocolate Pb and Cinnabun Stack up against this. Bare with me as I am still trying to get the hang of these reviews! Got a bar you want me to review just let me know! I’m enjoying the reviews! Keep it coming with the puns – they’re hilarious! haha thank you Sarah ! I hope you try the other oh yeah ONE bars! Get your hands on the peanut butter pie if you can. I want to know if I should order a box. I will try! I’ve also heard good things about the Bday Cake flavor !